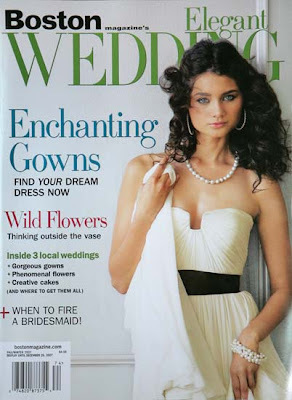 The Fall/Winter 2007 Issue of Elegant Wedding by Boston Magazine has just hit the book shelves. In it you will find on page 202 the "Ask The Photographer" section. I am featured here as I answered a question regarding "wedding albums". I hope you will be able to check it out on the bookshelves, and if not, I have free magazines here at the office for all.